Modern British menu with a hint of European influence using the best of locally sourced quality produce available. 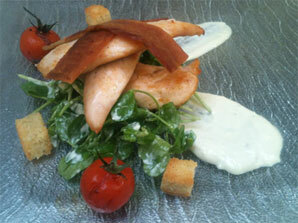 An extensive A La Carte menu which changes seasonaly. 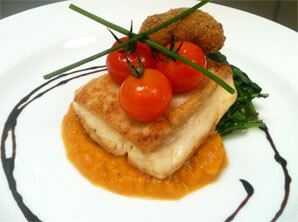 A beautifully crafted Sunday menu for just £24.50 including coffee and Petit Fours. A selection of beautiful mouth watering desserts. A wide selection of the finest handpicked wines from around the World.